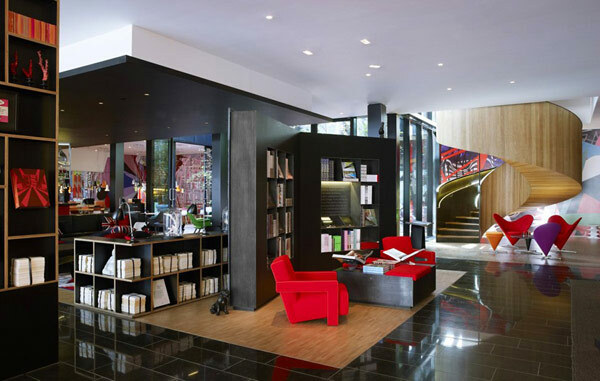 I know where I’m staying my next trip to London: The citizenM Hotel. My hat goes off to the Concrete Architectural Associates for designing this gorgeous hotel in London just South of Tate Modern. According to the hotel’s CMO Robin Chadha, “The ground floor, with its open-plan lobby, is “styled to look like the living rooms of a very well-traveled person. Every detail is thought through in delineated spaces that now mix elegance with the old exuberance, all in cooperation with furniture design giant Vitra.” Here are some more awesome pics and a link to the original article. Inside the Colorful and Refined CitizenM Hotel in London | Freshome.